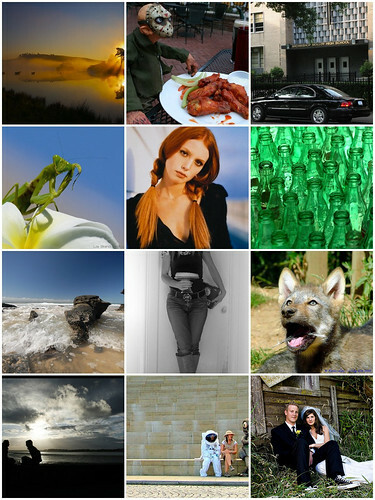 Eric’s Flickr Mosaic Meme, originally uploaded by Eric And Michelle. This is a meme created with fd’s Flickr Toys which I got from some online friends (Dylan, Anverie, and Leila). You type your answer to each of the questions below into Flickr search. Then, using only the first page, pick an image. Then, copy and paste each of the URLs for the images into this mosaic maker fd’s Flickr Toys. If you’re reading this, consider your self tagged. ooohhhh! Nifty Meme! Might have to make some time to do this one…..and time is something I seem to be running short on these days. How much fun! I’ll have to do this later.